If you are keen on dinghy sailing and looking for adventure, this is a book to accompany you through the summer months ahead. 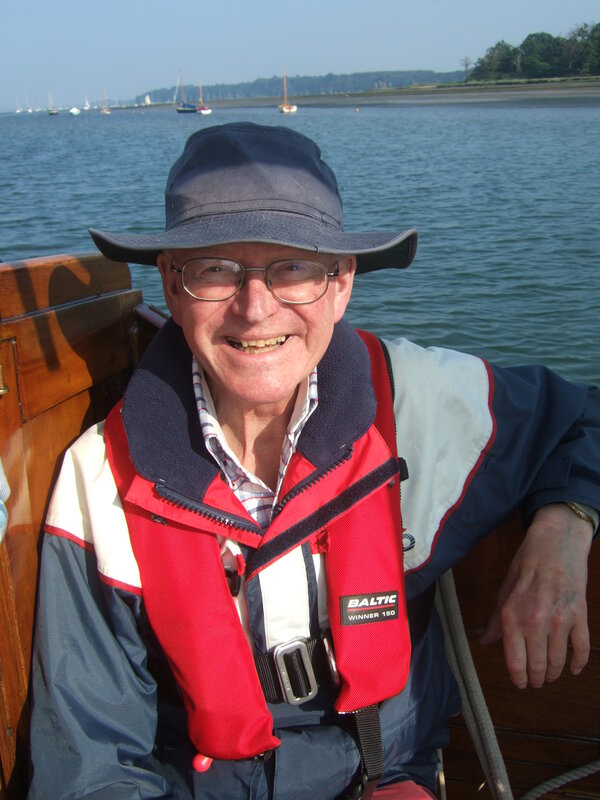 It is full of sound advice from Roger Barnes who learnt to sail on Windermere in Cumbria and is now President of the Dinghy Cruising Association. 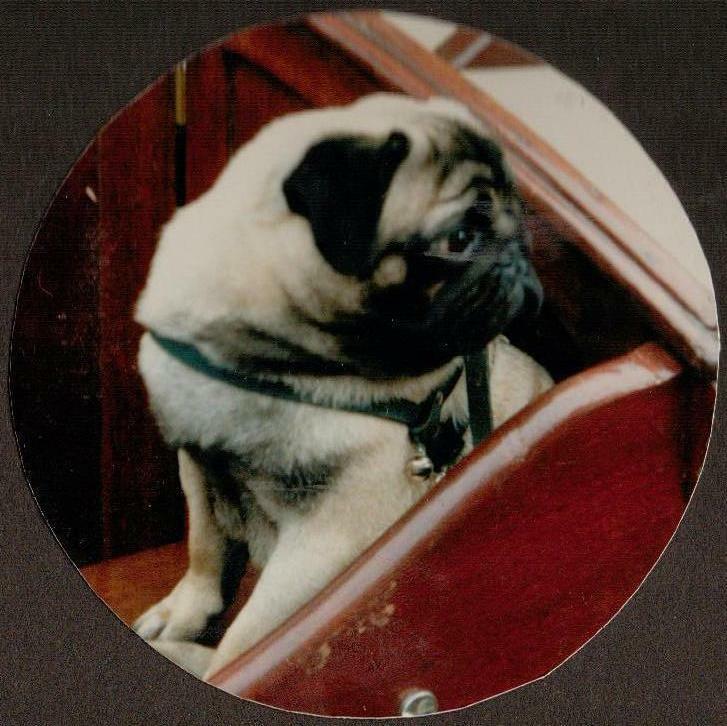 He has written for Classic Boat, Watercraft, Dinghy Sailing Magazine and currently writes for Classic Sailor. 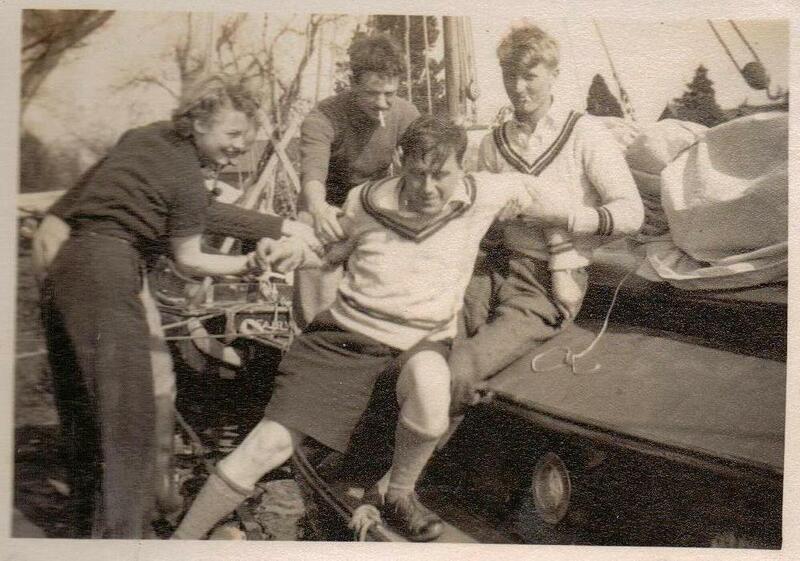 Roger emailed me to ask if I had a photograph of us sailing Swallow without life jackets. 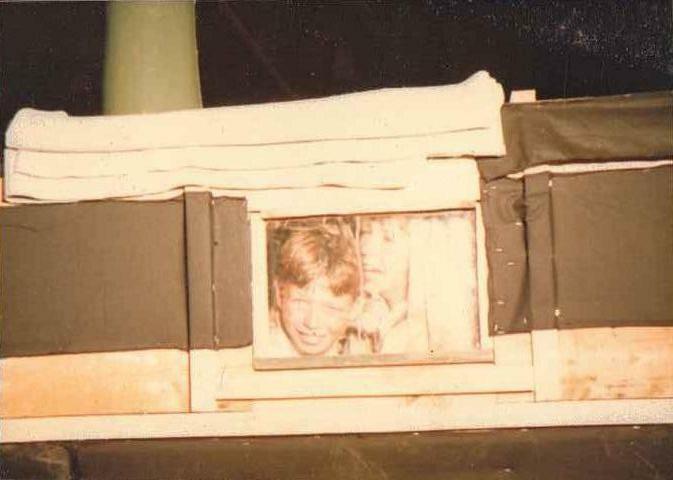 I supplied him with this shot my mother took in 1973 since I am standing in the dinghy. I am not sure how we managed to go about when we sailed off, as it also contained the parrot’s cage. 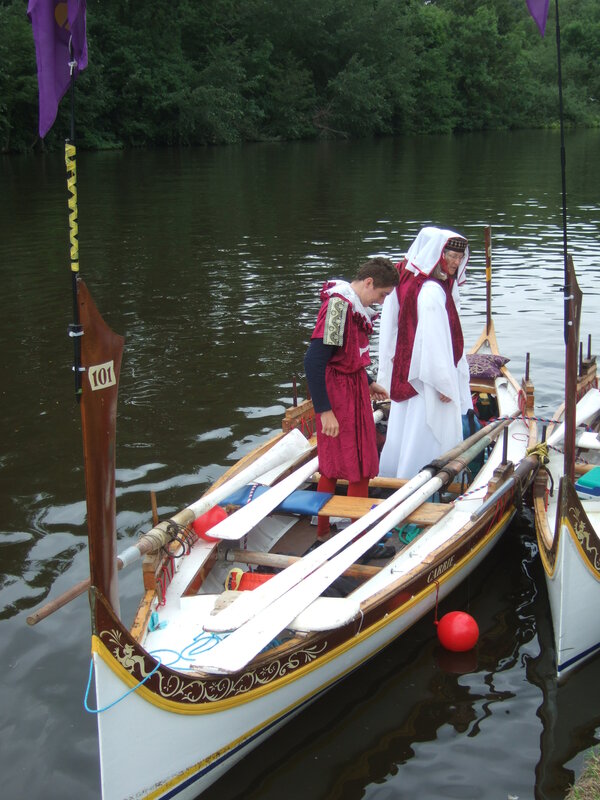 I will certainly take The Dinghy Cruising Companion with me if I manage to get Swallow to Brittany in the near future. 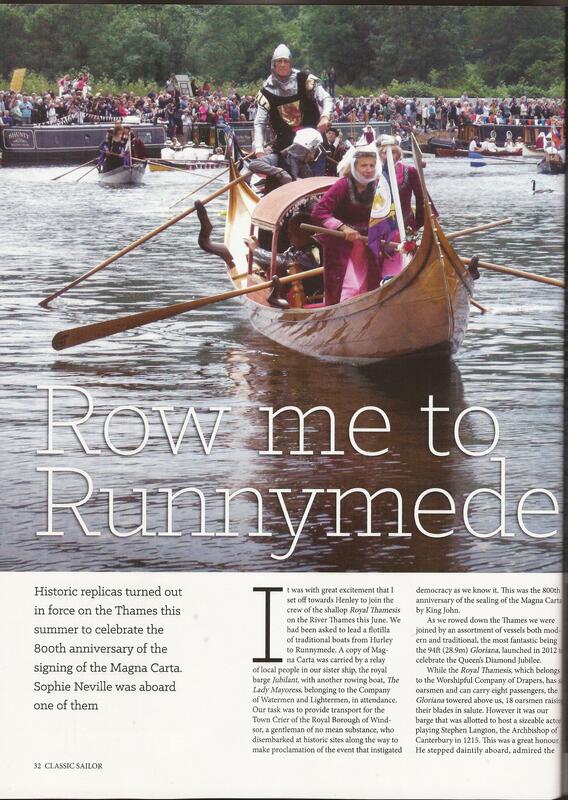 As you can see from the cover Roger often takes his own boat to regattas in France. I bought my copy of Roger’s paperback online but it’s available from all good bookshops. 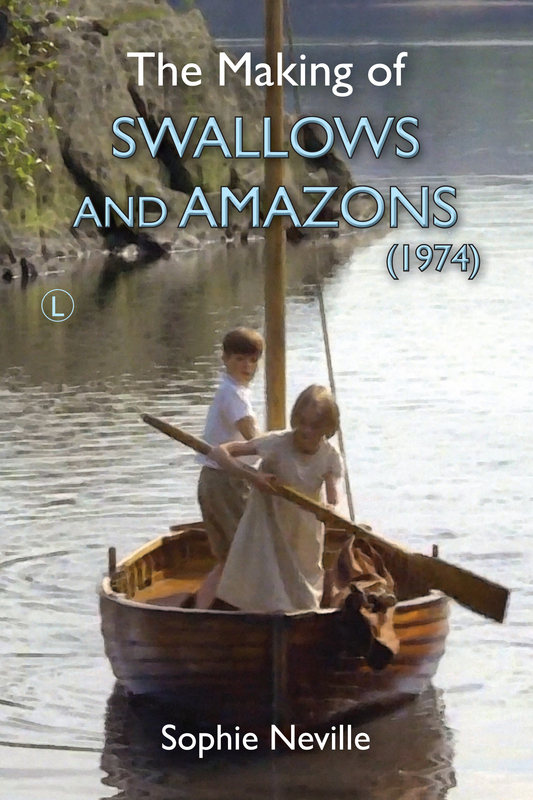 To find out about sailing Swallow, the dinghy used in the 1974 film of Swallows and Amazons, please click here for Sail Ransome. I’ve just had an article published in a fabulous new magazine for all those who love classic boats and traditional craft. 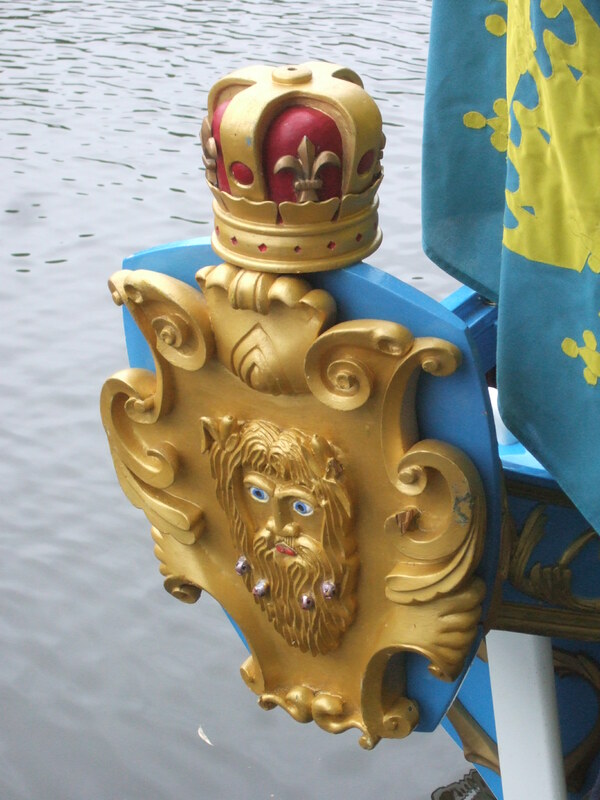 The balotina Nicoletta, a ceremonial gondola, pictured below, must be one of the most elegant on the River Thames. 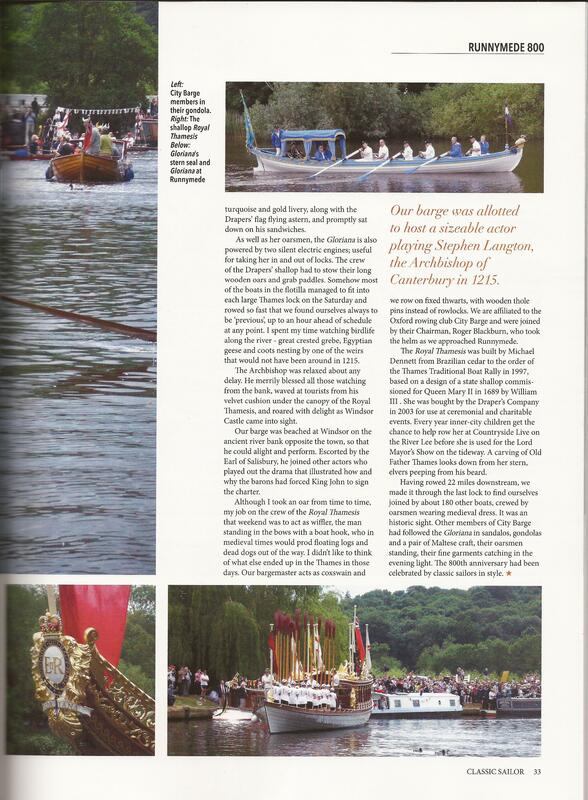 There is lots more to read in the magazine including a story from Roger Barnes about taking his dinghy to a sail-and-oar challenge in France, as well as news of Thames barges on the east coast. Classic Sailor are eager to hear from readers about what kind of articles they’d like included. If anyone can send me a book review or perhaps a piece on sailing films, I could forward it to the editor. 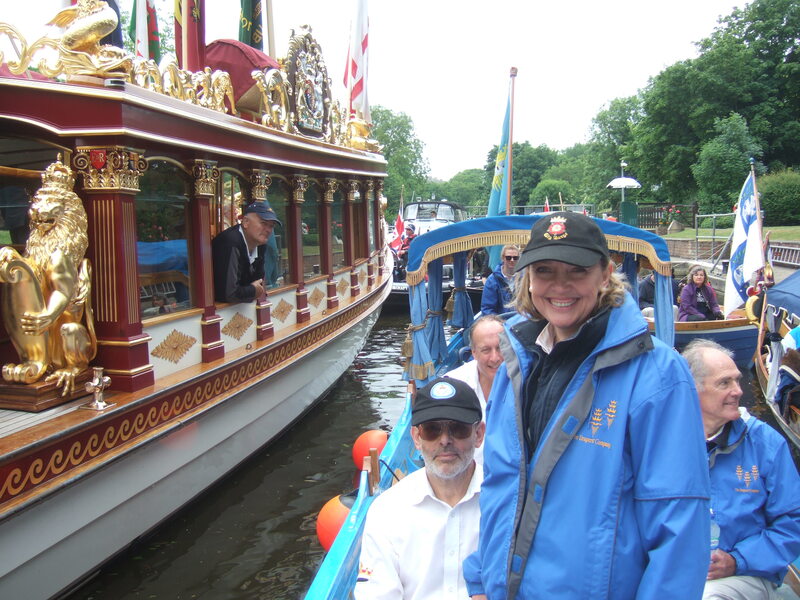 If you have ever wondered what Nancy Blackett is doing now – here she is. Built by Hillyards of Littlehampton in 1931 she was bought by Arthur Ransome with royalties from Swallows and Amazons and became both the inspiration and model for his book about the Swallows’ unplanned voyage to Holland ~ We Didn’t Mean to go to Sea, in which she was known as the Goblin. She also appears in Secret Water. I was at the Royal Harwich Yacht Club to give a talk on making the BBC adaptations of two other Arthur Ransome books set in East Anglia, Coot Club and The Big Six. I thought that people would rather be out in the sunshine or watching the Wimbledon finals but it was well attended. After watching a clip of Ginger and Rosa, the BFI/BBC feature film directed by Sally Potter that Nancy Blackett starred in last year, we wandered down to the jetty in front of the new club house, and grabbed a chance to go out on the Orwell. Soon sails were being hoisted and we were underway, sailing down river in the evening light. Conditions were perfect for Nancy, a 28 foot Bermurdan cutter. 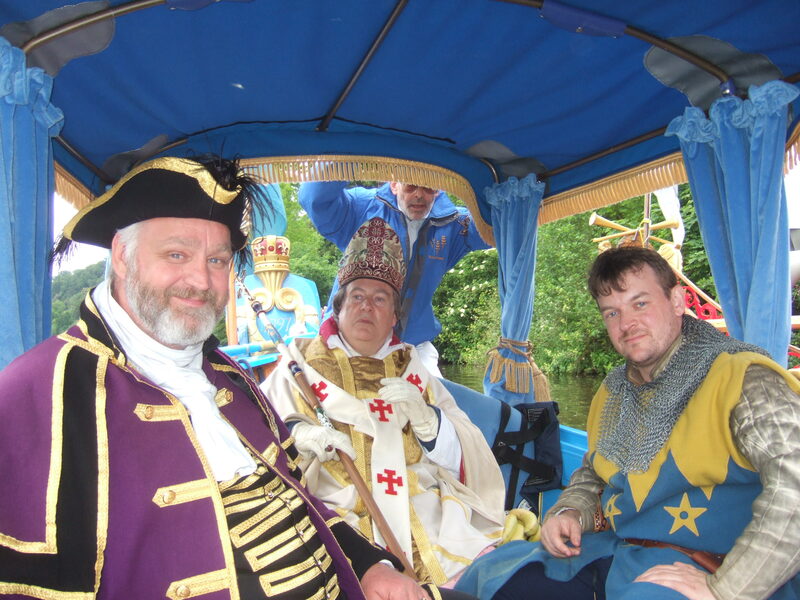 I took the helm, whilst the others did the hard work. We were soon sailing past Pin Mill, which also features in the book. 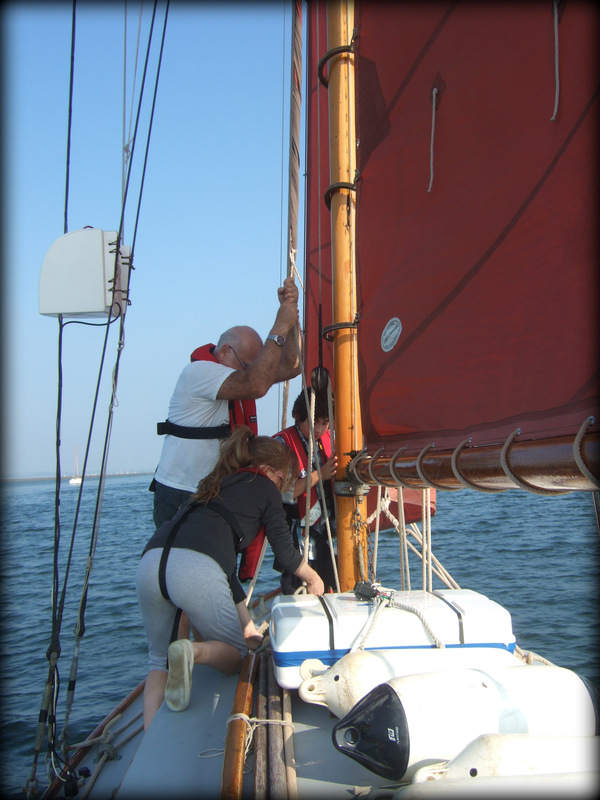 others had previously managed to avoid spending much time on the water, but we all had a wonderful experience and were sad when the sails were stowed for the night. We saw a couple of Thames barges also coming in, as Nancy settled down after a successful day.